It is an intriguing coincidence that in the case of several of the most famous works of music – for instance Haydn’s Creation and Mozart’s Symphony No.40 in G minor – there are no extant autograph scores. 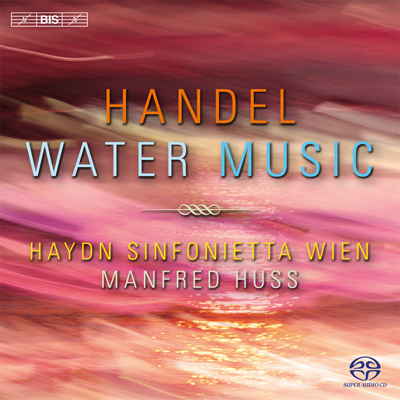 Another example is Georg Frideric Handel's Water Music, composed for a royal boat party on the Thames on 17th of July 1717. Conceived for such a unique occasion, the work was quite possibly never performed again in its original form during Handel's lifetime. Handel reused certain movements in other works, and 'best-of' suites soon appeared – including for instance the ever-popular 'Trumpet minuet', 'Air' and 'Alla Hornpipe' – but there is no evidence that Handel ever again chose to perform all of the 22 movements in sequence. The absence of an autograph score and an established contemporary performance practice has led to various speculations regarding the work, and specifically about the order in which the movements should be performed. For a long time the reigning theory has been that which is reflected in Handel's list of works, the Händel Werke-Verzeichnis, which groups them as three suites, HWV348, 349 and 350. A recently discovered copy of the score of the complete Water Music, made shortly after the first performance, has challenged this conception of the work, however. In the manuscript – and on this disc – the movements follow in what is clearly a single great span, with trumpets and horns setting in at different points, providing variety and adding the appropriate splendour and excitement. 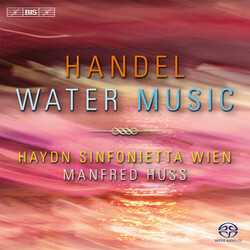 Manfred Huss and the period orchestra Haydn Sinfonietta Wien are internationally acclaimed for their rousing performances of music by Haydn and Schubert. They now bring their indomitable enthusiasm and collective expertise to one of Handel's most famous and popular works, rounding off the disc with the composer's far less well-known, but equally resplendent Ouverture from the Occasional Oratorio.